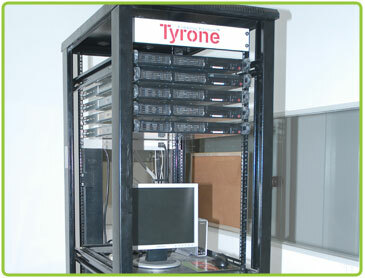 For the purpose of carrying out jobs of extensive computational load, the Bioinformatics Lab is equipped with the latest, high end computing facility. High Throughput Docking is used to screen large compound libraries against identified /modeled active sites with unmatched throughput, enabling rapid detection of the most promising lead candidates. Inverse docking (docking of single ligand to a library of macromolecules) is an emerging and powerful tool in this sector. This approach basically works on the fact that millions of molecules are already available (synthesized/characterized) and can be screened to explore new target(s) and activities. Pharmacophore-guided drug design is also being used to develop new analogues of molecules under investigation. 3D QSAR based prediction of ADME/T properties: Earlier, focus on pharmacokinetcs of candidate drug molecule was analyzed in the latter phase of drug discovery. Now, with failures of many potential molecules in ADME/T, after spending nearly half of the billion dollar affair, the importance of this factor is cannot be neglected. Early prediction of ADME/T properties of developing molecules could give insight into these parameters and may warn against fatal disasters. Molecular Dynamics: is a form of computer simulation in which atoms and molecules are allowed to interact for a period of time by approximations of known physics, giving a view of the motion of the particles. Molecular dynamics lets us peer into the motion of individual atoms in a way which is not possible in laboratory experiments. The successful molecular complexes from docking experiments are taken into the Molecular Dynamics studies to further investigate in different dynamics conditions.